A while ago, it was announce that this year’s Arrowverse cross-over would feature Superman (Tyler Hoechlin) in addition to introducing Kate Kane/Batwoman (Ruby Rose). Sure that news is exciting but what go us really jumping for joy was that Superman wasn’t coming alone but will bringing in our favourite DC character of all-time, intrepid Daily Planet reporter, Lois Lane. A casting notice shortly went out and now news comes that Grimm alum, Elizabeth Tulloch. Taking a look at Tulloch in the photo above, she totally resembles the late Margot Kidder, who famously played Lois Lane opposite Christopher Reeve in the Superman films of the 1980s. 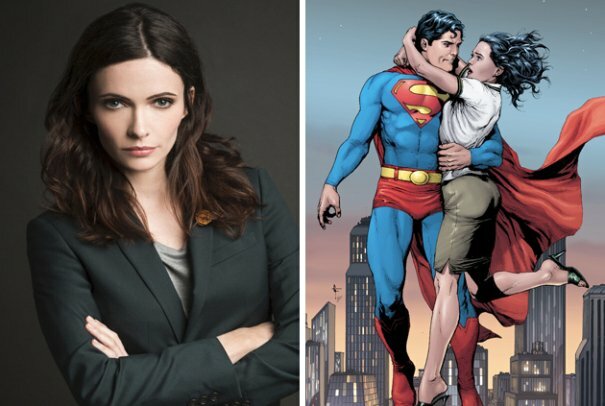 Other people to have played Lois on the big screen in recent years includes Erica Durance (Smallville), Teri Hatcher (Lois and Clark), and Amy Adams (Man of Steel, Batman vs Superman, Justice League).